This is a typical Belgian IC train of recent years, the class AM96 number 511. 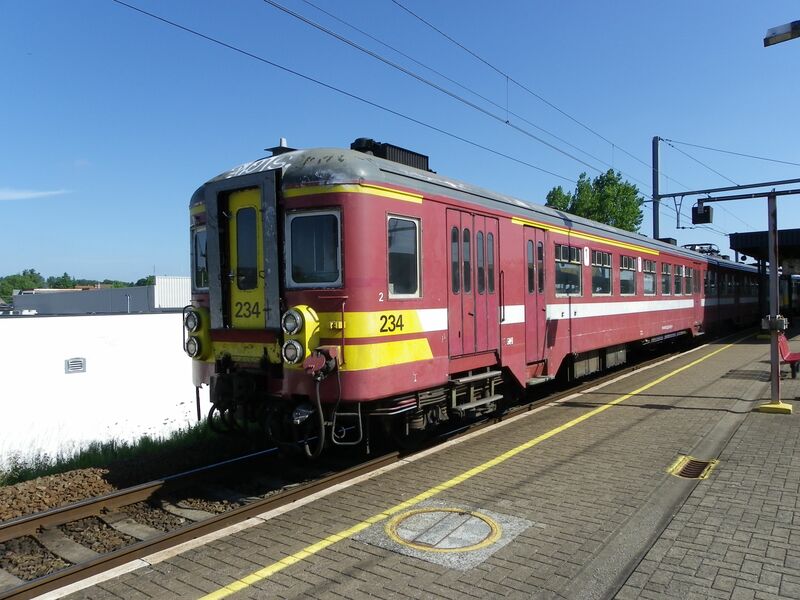 It looks like just a rake of coaches and it bears the German nickname "Gumminase", rubber face, but actually it is an electric multiple unit. This one is photographed not in Belgium, but at the Luxembourg main station after having just arrived from Bruxelles (Brüssel) as an IC/EC service. Picture 19.7.2010 by Ilkka Siissalo. 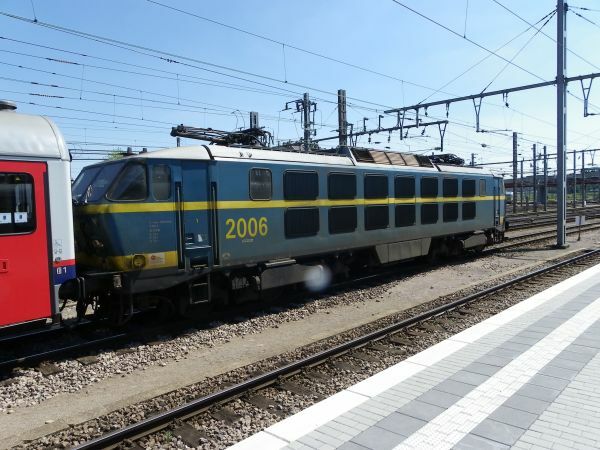 The class 20 of SNCB was a six-axle Co'Co' locomotive built by BN and ACEC 1975-1977. Only 25 were made. It operated only on 3000V DC and the top speed was 160 km/h. 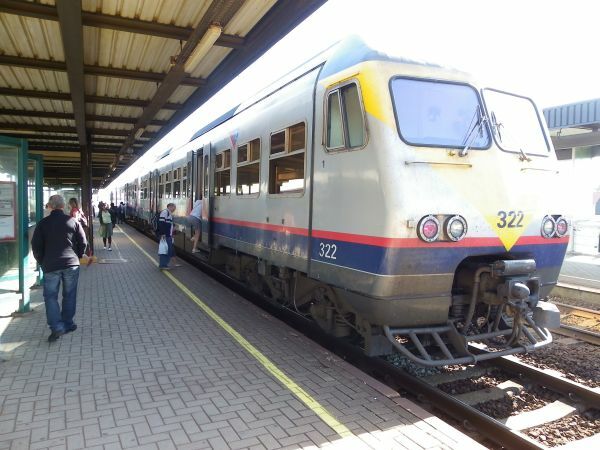 They were used often in front of express ervices, such as here heading an EuroCity Luxembourg to Bruxelles. 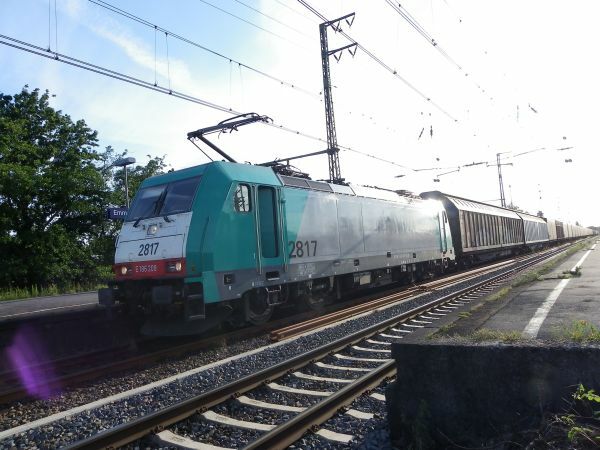 A meeting of two SNCB class 20 locomotives with their EuroCity trains, one arriving from Bruxelles and one ready to depart there. 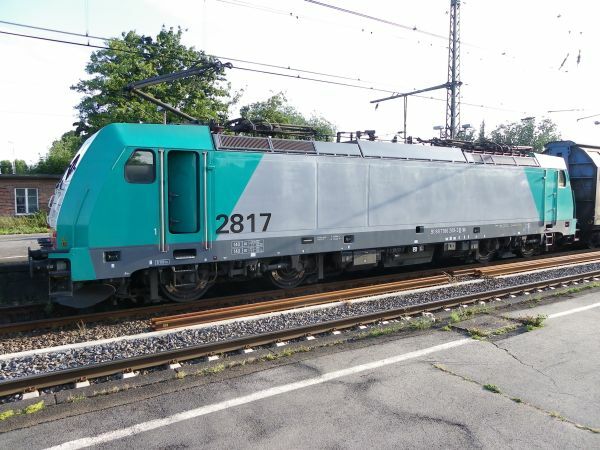 A class 21 locomotive 2159 is exchanging locomotive personnel at the Liége station. This class, together with the classes 11, 12, 21 and 27 form together a locomotive family which used to be very common in Belgium, although is now rapidly being decimated by frequent scrapping of locomotives. 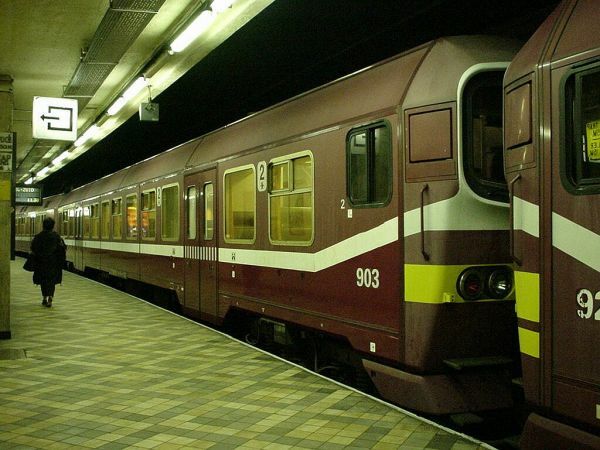 These machines of the class 21 were built 1985-87 and they run only under 3000V DC. There used to be 60 of them in total. Picture from Liége (Lüttich) station 18.7.2010 by Ilkka Siissalo. A class 21 locomotive no. 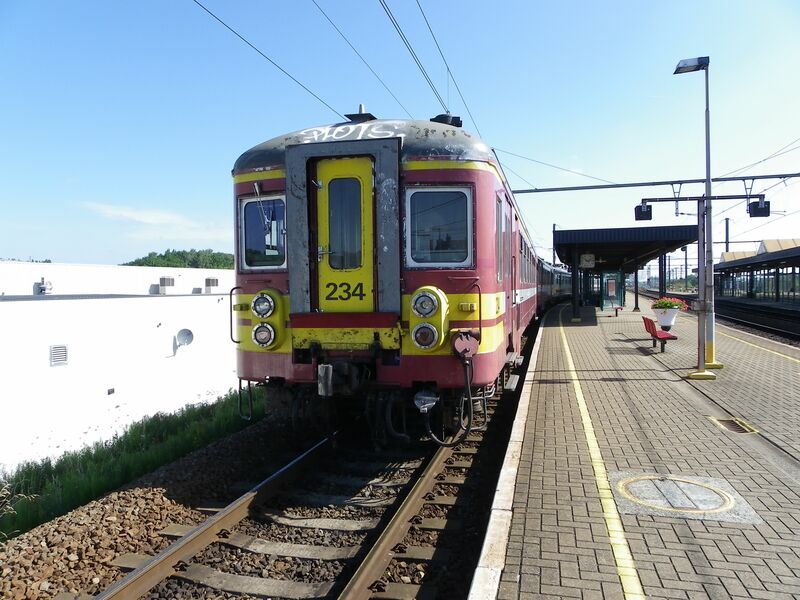 2145 is here pulling a rake of empty class M4 regional train passenger coaches away from the Brussel Noord station. Picture 11.7.2011 by Johannes Erra. 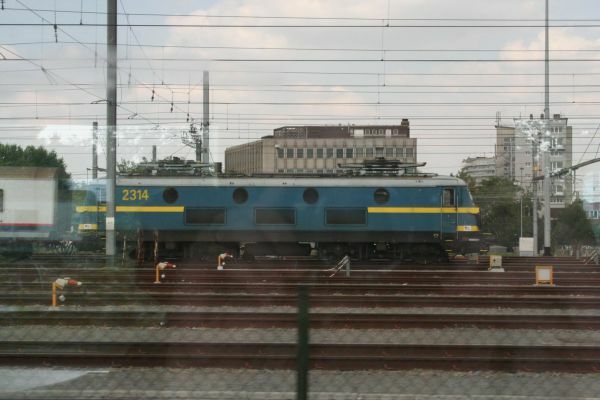 This picture is taken through a window of a moving train and is therefore unfortunately of fairly lousy quality, but it shows a class 23 locomotive no. 2314 with some class M4 regional traffic push-pull train coaches. Sorry that we do not have any better pictures of a class 23 machine. Class 23 was a series of locomotives built 1955 to 1957. 83 machines were built. Its maximum speed was 130 km/h. They were used both in passenger and in cargo traffic until 2012. The machine had a modest power rating of only 1740 kW. 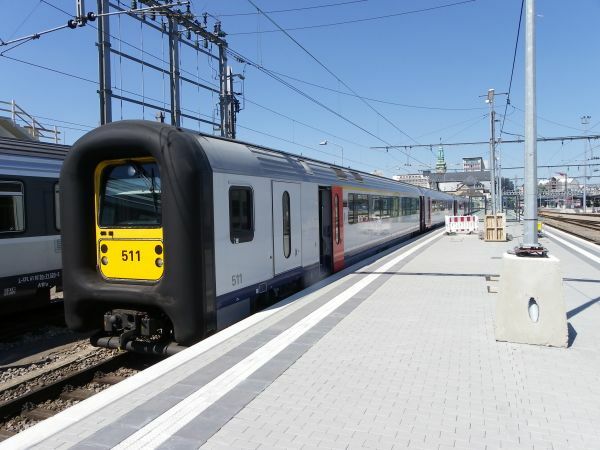 Picture from Gent Sint Pieters station 11.7.2011 by Johannes Erra. A typical Belgian garco locomotive of today, a leased Br186 Traxx owned by Alpha Trains and in this case leased by the Belgian SNCB, here hauling a cargo train from Antwerpen in Belgium towards Germany and photographed in Emmerich, on the German side of the border. Picture 6.7.2010 by Ilkka Siissalo. Another view of the Br 186 TRAXX 2 in Emmerich, on the German side of the border. Picture 6.7.2010 by Ilkka Siissalo. 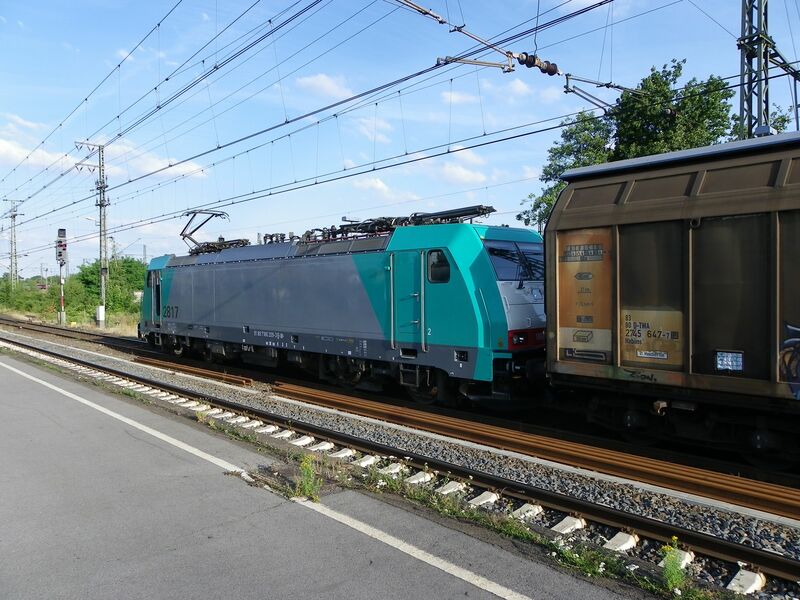 A third view of the Br 186 Traxx2 in Emmerich, on the German side of the border. These are multiple electric system machines, capable of taking the train not only through the DC voltage of Belgium, but also through Germany and maybe Austria, to the borders of Italy or Switzerland. Photo from Emmerich, Germany 6.7.2010 by Ilkka Siissalo. 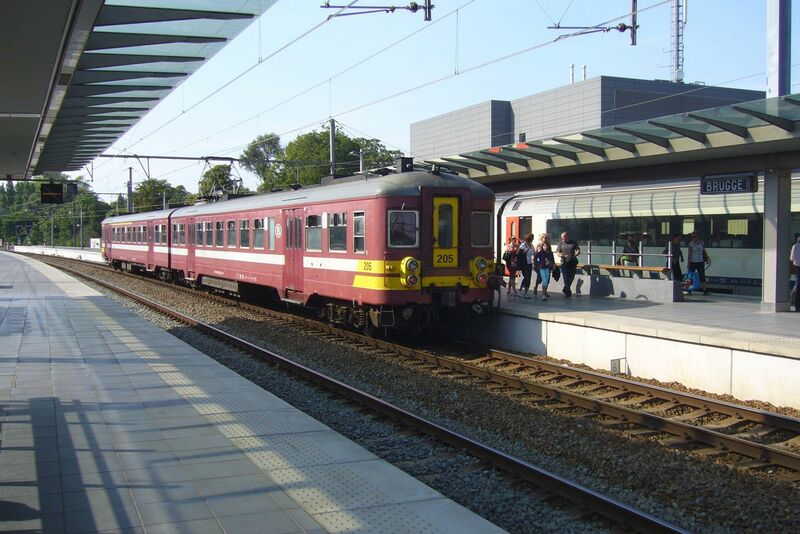 This is a very old Belgian EMU of the class EM62 still in its old dark red livery, seen here at the Oudenaarde station 18.7.2010. At this time it was fairly rare to see Belgian old EMUs still in the old paintings. Photo from Oudenaarde 18.7.2010 by Sanna Siissalo. The man in the picture is train photographer Ilkka Siissalo. Another view of the same not yet renovated old class EM62 EMU. Photo from Oudenaarde 18.7.2010 by Ilkka Siissalo. 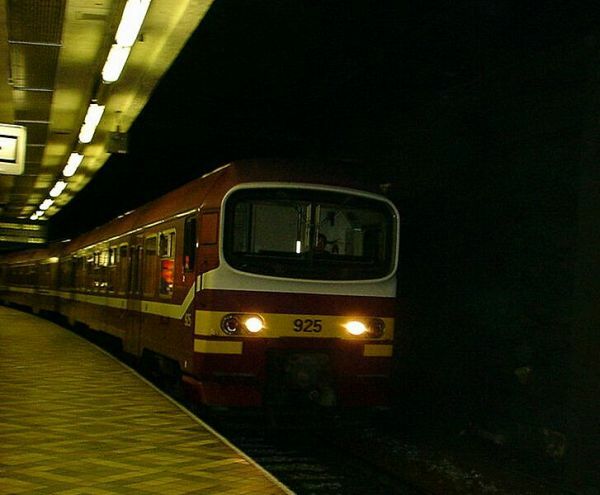 Yet another view of the same not yet renovated old class EM62 EMU. Photo at Oudenaarde station 18.7.2010 by Ilkka Siissalo. Yet another class AM62 electric multiple unit still in old red livery. These machines have all been scrapped by now. 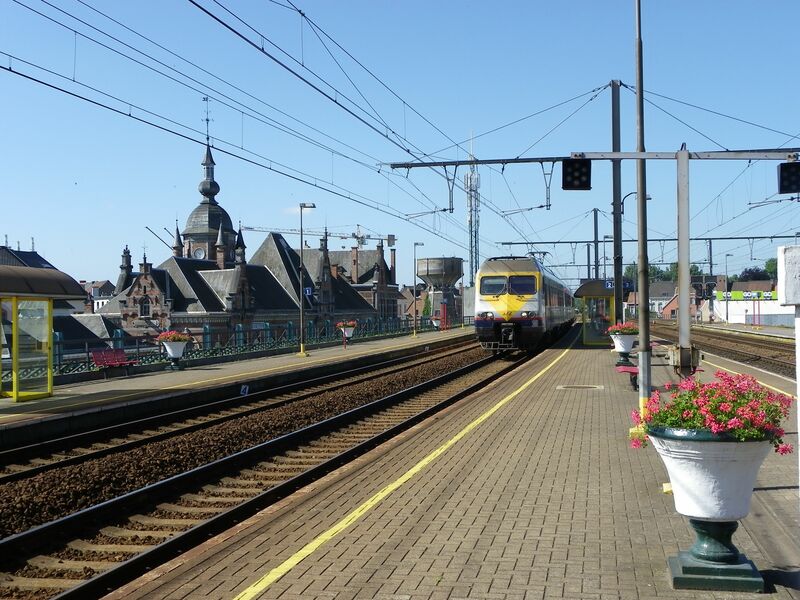 Picture from Brugge station in July 2011 by Johannes Erra. Another class EM62 EMU, this time the no. 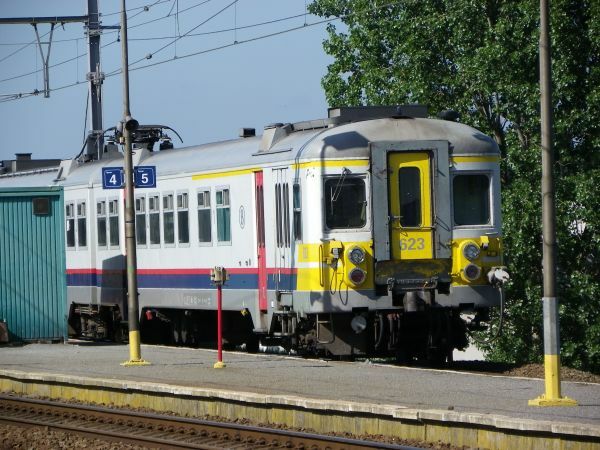 623, but this time renovated and in the new painting scheme, also seen here at the Oudenaarde station 18.7.2010. Another view of the modernised class EM62 EMU now showing its front. 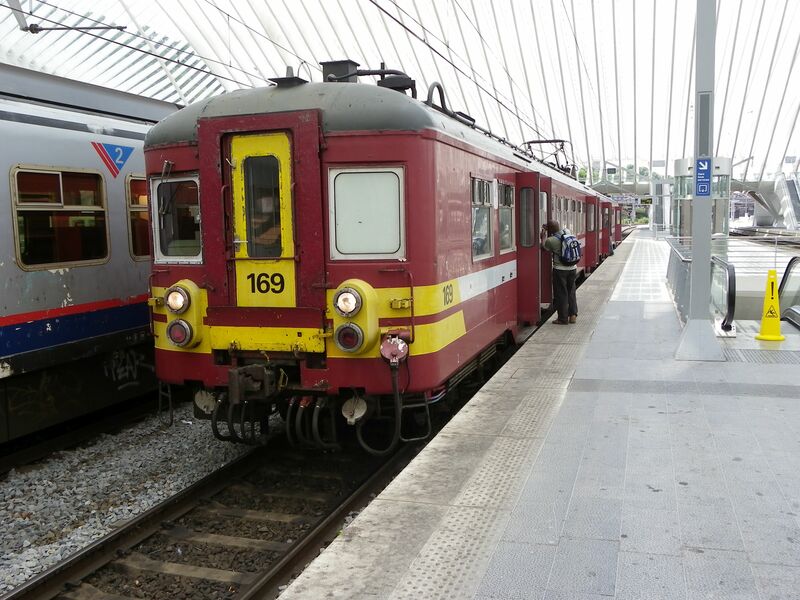 In some other cases SNCB modernised these old EMUs so that only one of the original two front windows remained. 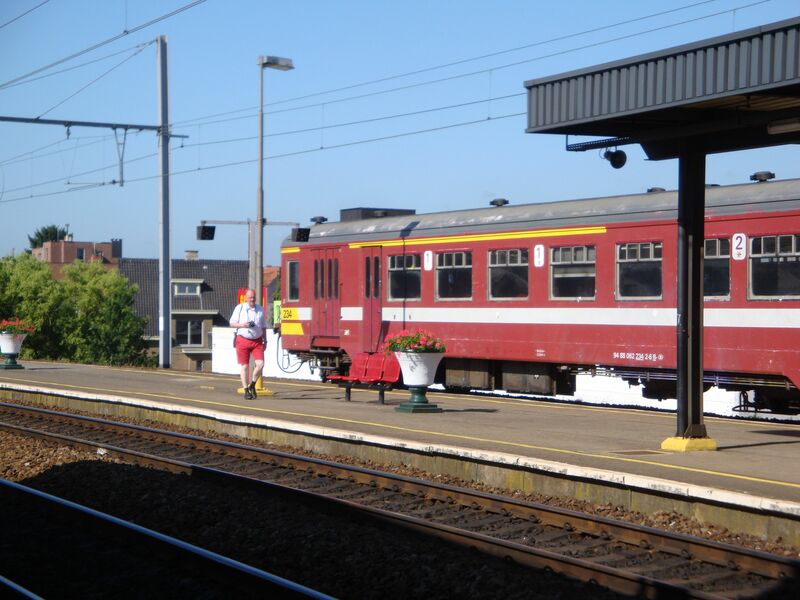 Photo from Oudenaarde station 18.72010 by Ilkka Siissalo. 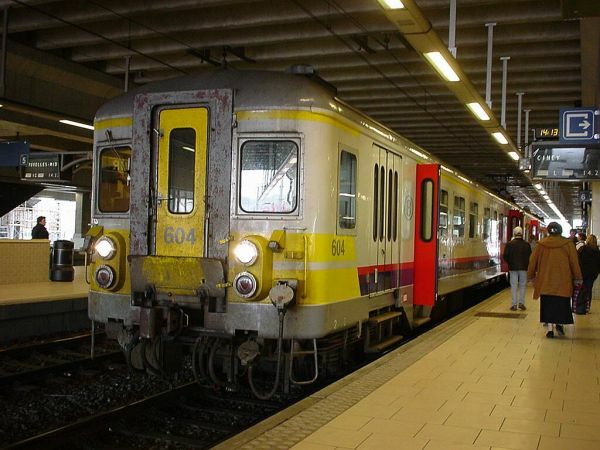 Here is an example of an old class AM62 commuter EMU "with one eye shut". This one has not received a thorough revamping as you can see from its old red painting scheme, yet one of the two front windows is covered. Picture from Liége station 18.7.2010 by Ilkka Siissalo. 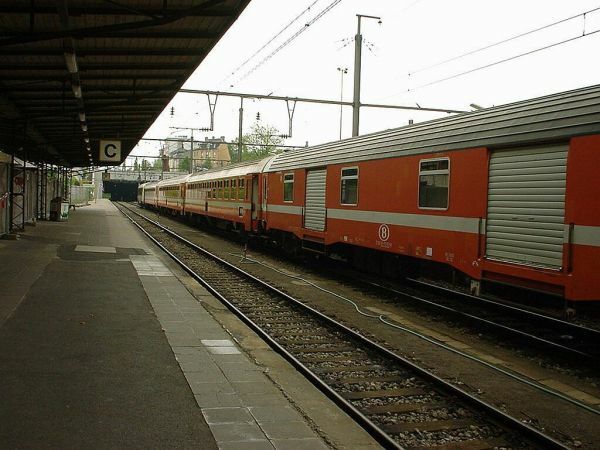 SNCB class AM70 regional train at Naumur station 11.5.2002. 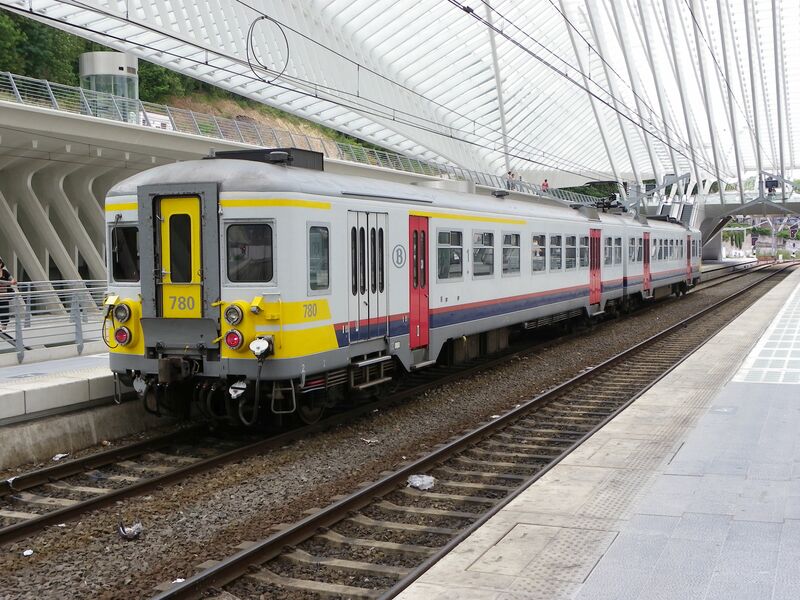 A class 78 refurbished and repainted old commuter train looks pretty much like the previous ones. Picture at Liége station 18.7.2010 by Ilkka Siissalo. 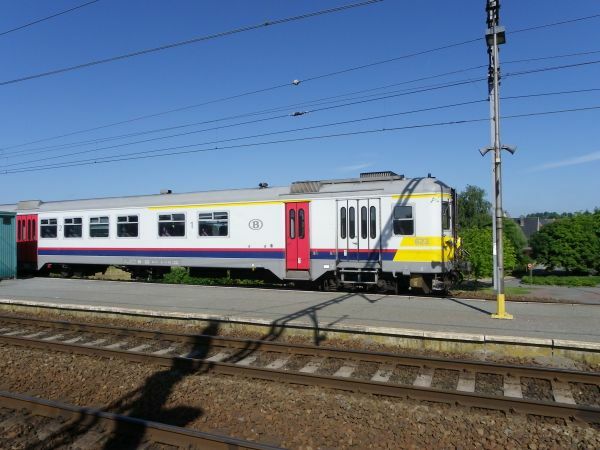 A little newer, a class AM80 EMU stopping at Oudenaarde station. Another AM80 unit approaching the Oudenaarde station. As you can see, it is truly not a low-floor train. In addition to the height, many other details such as the "cow rail" at the front also suggest rather a Russian/Soviet train than a Western European one. 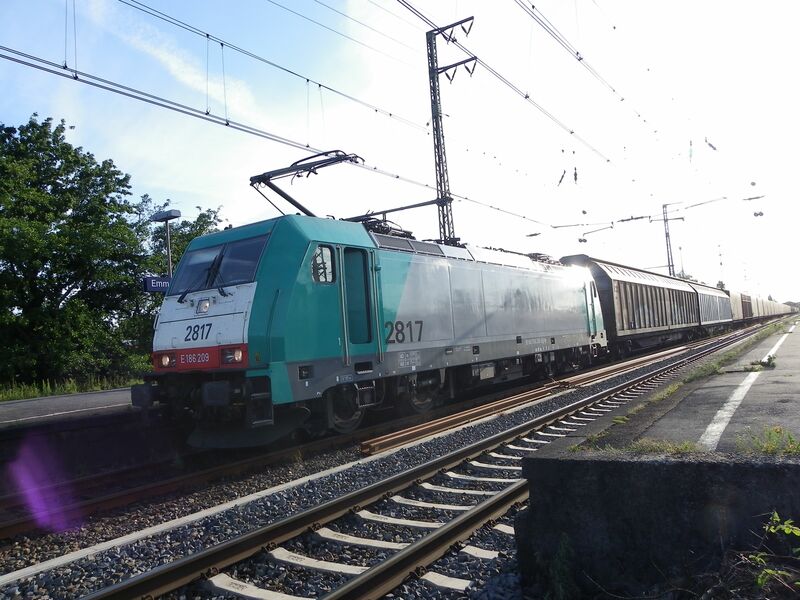 Another class AM80 train no. 361 stopping at Liége 18.7.2010. The same train seen from slightly higher up from the stairs at Liége station 18.7.2010. Two SNCB class AM86 "Sprinter", also unofficially nicknamed as "Diver's mask", units at Brussels Centraal. These trains were built by BN (La Brugeoise et Nivelles) and ACEC (Ateliers de constructions électriques de Charleroi) in 1986 and they have been active especially in the regional train traffic around Brussels. Picture 6.9.2002 by Ilkka Siissalo. 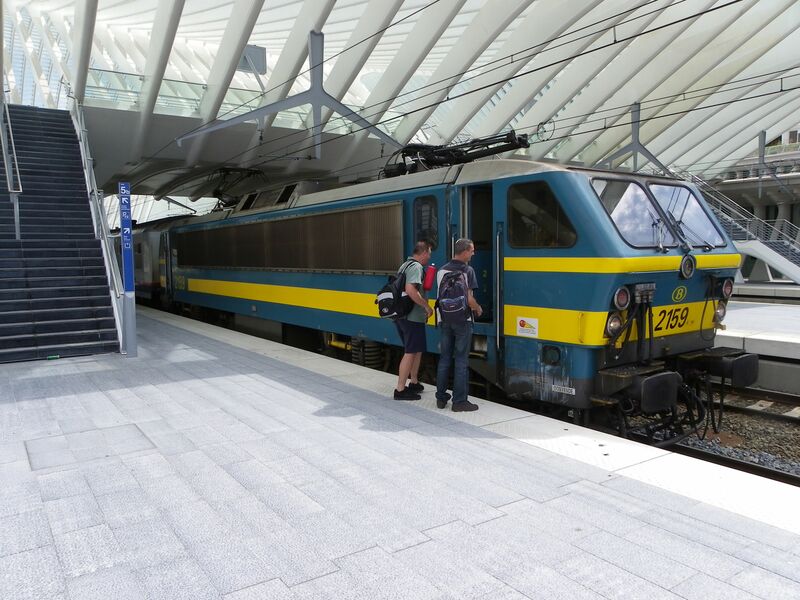 A class AM86 Sprinter arriving at the Brussels Centraal. In the 1970s and beginning of 1980s there was a European wide habit or rather a mania to paint all buses, trains and trams orange throughout Europe. At least the express trains of Switzerland, Austria, Italy, Belgium, Holland and France were all orange. This one may have been one of the last totally orange coloured express trains. This rake consisted of only SNCB Belgian coaches, although it was led by a Luxemburgian locomotive. 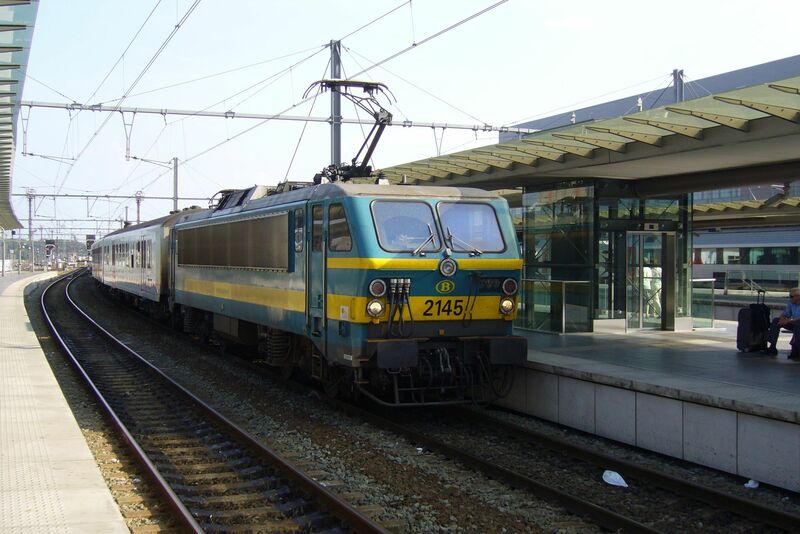 Photo of an express train leaving towards Belgium from Luxembourg main station 12.6.2002 by Ilkka Siissalo. 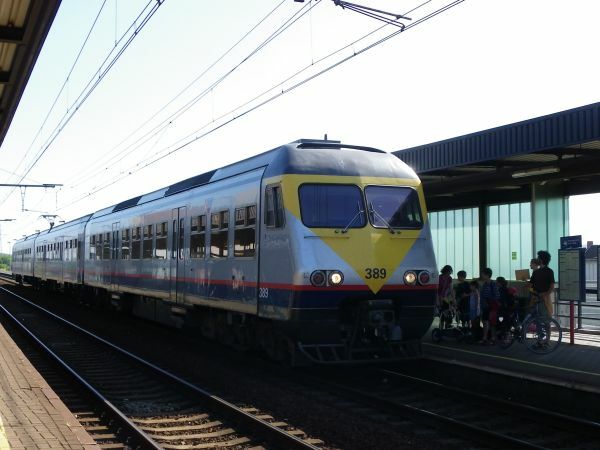 A Belgian locomotive in the Netherlands. 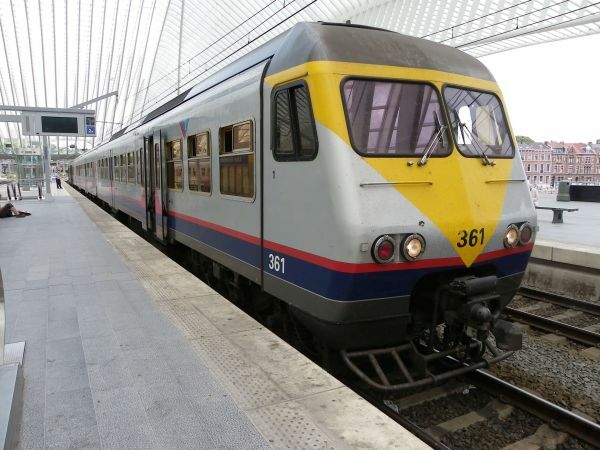 The Dutch NS and Belgian SNCB made a big mistake and ordered from the Italian company AnsaldoBreda new bullet trains of the class V250. They were intended to link the Netherlands with Belgium with a superfast and highly priced service called Fyra (Fyra means four in Swedish and the name refers to it linking four cities, Amsterdam, Rotterdam, Antwerpen and Brussels.) 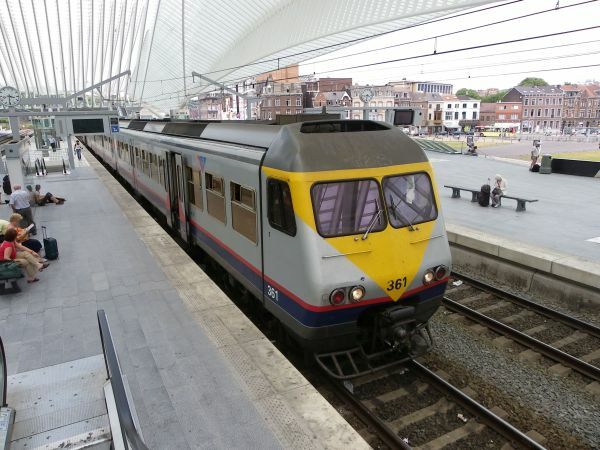 But first the trains were severely late, causing NS and SNCB to try to find alternative rolling stock to replace them. And finally the trains turned out to be of such lousy quality that it caused a major scandal and they were returned to their builder. 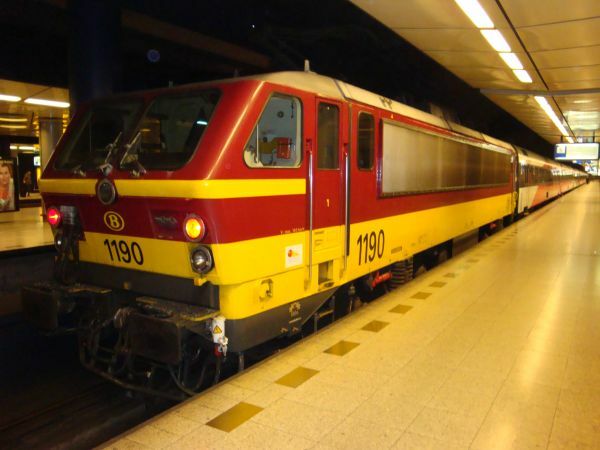 This is one of those Fyra replacement trains, consisting of older Dutch coaches but with new red and white Fyra tapings and with a Belgian class BB1100 locomotive. Picture from Schiphol airport underground train station 9.3.2009 by Ilkka Siissalo.